Bollywood actor Priyanka Chopra's father-in-law Paul Jonas' real estate company is facing a financial crisis. As per reports, the company has failed to repay the heavy debts and in order to pay the cash, Paul Jonas is planning to sell off his property. It is expected that Nick and Priyanka will provide a helping hand to Paul Jonas. Bollywood actor Priyanka Chopra and Nick Jonas have been in headlines for all the right reasons. However, this time, the Jonas family has come into the limelight for a different reason. Priyanka Chopra’s father-in-law Paul Jonas has landed in a legal trouble as his New Jersey construction and real estate company is under a heavy debt. Reportedly, Paul’s company has a debt of over $1 million, which includes an amount of $268k that the company lost from a case judgement. Later, Paul Jonas’ company filed for bankruptcy and in order to come up with the financial crisis, Jonas planned to sell some of the company’s property. But seems like in these hard times, his son Nick and daughter-in-law Priyanka Jonas are expected to come to his rescue. Reportedly, Nick is worth $25 million (Rs 1,77,51,25,000 approx). He earned most of the money as a solo artist. Additionally, he is also a budding acting career and recently starred in the Jumanji remake. In fact, earlier, when Nick had a similar kind of crisis, the Jonas Brothers had sold millions of records worldwide before the band broke up in 2013. Later, the trio continued building their portfolios on their own. Also read: Deepika Padukone not invited to Priyanka Chopra and Nick Jonas engagement party? Not just it, even Priyanka Chopra has also reportedly, $28 million. Paul Jonas is the father of Jonas Brothers, Nick-Joe and Kevin. Recently, Priyanka Chopra-Nick Jonas got engaged after a roka ceremony. The ceremony was attended by Bollywood celebrities. The duo looked beautiful together at their ceremony. 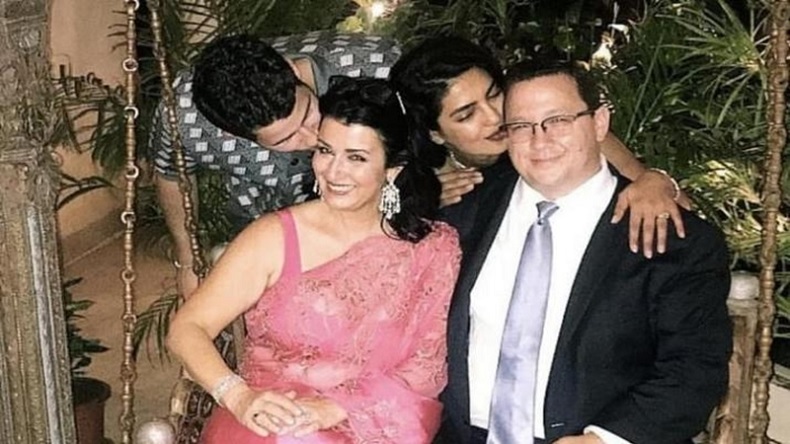 Priyanka Chopra’s mother Madhu Chopra is quite happy with her son-in-law and in an interview to a leading daily, she even praised Nick. The wedding date of the couple is yet to be finalised.